A brand new material, extra soft and resistant to wear. 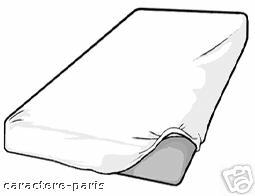 Once used, you can discard the sheets by recycling them. The covers fit mattresses of up to 13 cm (5 in) thick. Number of sheets: 20, non-waterproof type in individual packages.